Diagenode focuses on state-of-the-art preparation of high quality biological samples and is dedicated to the most advanced analytical methods. Achieving proper fragment sizes for input DNA, chromatin, or RNA is crucial for various techniques, and Diagenode has developed the most advanced water bath sonicators (the Picoruptor® for 150bp - 2kb), a unique desktop sonication device (the One® for 150bp - 1kb) and a unique hydrodynamic shearing instrument (the Megaruptor® for 2kb - 75kb) to cover a range of applications. The Picoruptor® is available in two models: the Picoruptor® Plus, specifically designed for ChIP-PCR and other applications, and the Picoruptor® Pico for ChIP-seq and NGS. The Megaruptor® is the best shearing device for the tightest distribution of long DNA fragments. The One® is the new desktop solution that provides optimal small volume DNA shearing for Next-Generation-Sequencing. Diagenode has partnered with leading innovative companies to optimize workflows through the greater incorporation of Picoruptor® technology. 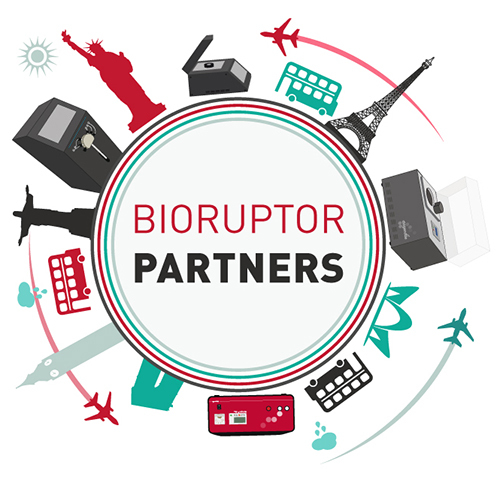 You are about to request a quote for Bioruptor® Plus sonication device.Fill out the form below and we will be in touch with you very soon. You are about to request a quote for Diagenode One sonication device.Fill out the form below and we will be in touch with you very soon.